Our Gossip & Candid Policy. Though it may be a fair argument to say that those who choose the limelight of celebrity also choose to have their lives scrutinized in the media, we here at Chloë Sevigny Online beg to differ. We believe that being a public figure should not have to also include a surrender of your privacy to the tabloid industry, and want to exemplify this with our Gossip & Candid Policy. 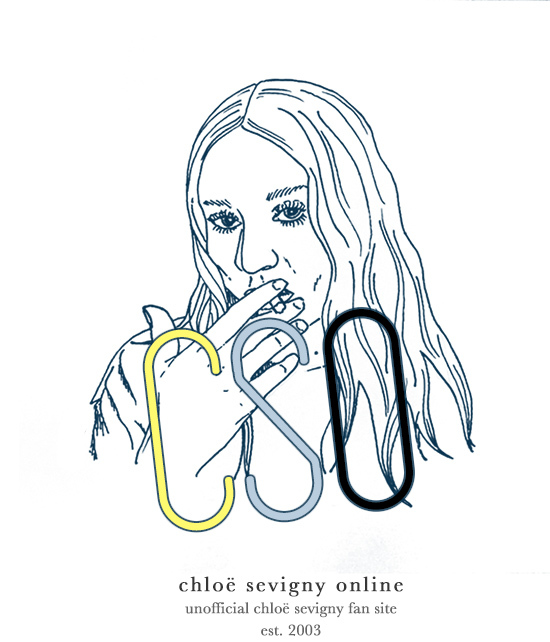 To respect Chloë’s privacy we at Chloë Sevigny Online have decided never to post any unauthorized private life candids of Chloë or her family anywhere on the site. This includes photos of Chloë e.g. walking around in the city, shopping, dining, driving and leaving her home. We realize Chloë’s “street style” in particular is of interest to many, but as the way these photos are obtained by photographers is often nothing short of aggressive, intrusive and offensive, this is something we, as fans of Chloë’s person as much as her fashion, do not wish to encourage. We do on occasion post what we call “behind the scenes-footage” — even when by the paparazzi — from the sets of photoshoots, movies and TV shows, but only provided a) it is newsworthy footage relevant to the progress of the project/production and b) Chloë does not appear uncomfortable being photographed. At the same time, we also consciously stay away from any and all gossip regarding Chloë Sevigny and/or her family. We’re not interested in furthering either unfounded speculations or nasty rumors about Chloë Sevigny’s private life, which is why we do not report on any personal or private developments until they are either officially confirmed, via e.g. Chloë’s representatives or her own social media accounts, or otherwise well-documented. This also reduces misinformation both on the site itself and on the web more generally.